Peel avocados, remove pit, and cut into chunks. Place in food processor or blender with lemon juice, sugar, pepper, jalapeno, and shallot; add 1 cup chicken broth and puree until smooth. Pour soup into medium bowl and add remaining vegetable broth and cream; stir with wire whisk until blended. Cover by placing plastic wrap directly on the soup's surface; chill for 2-3 hours before serving. 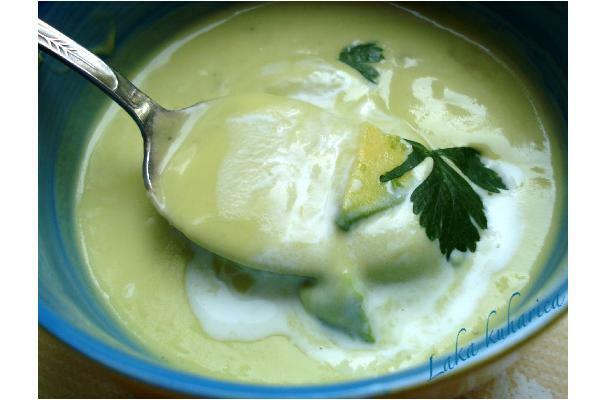 Garnish with avocado slices and cream.